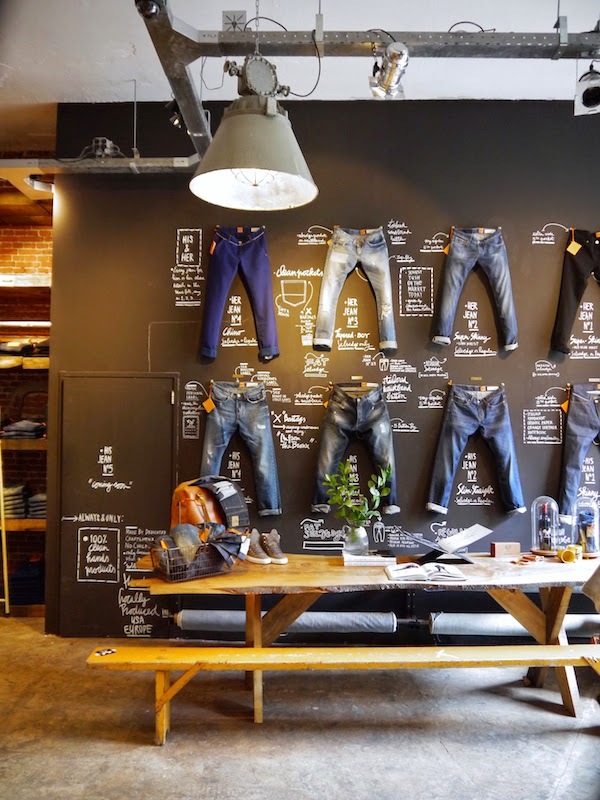 Amsterdam Denim Days is an annual event for fashion forward denim lovers and throughout the city several events are set up for both consumers and professionals. Blueprint is one of the main events at Westergasfabriek Westerpark | Spaarndammerbuurt area. Expect big denim brands, seminars, exhibitions, workshops, a vintage market, live music and more. 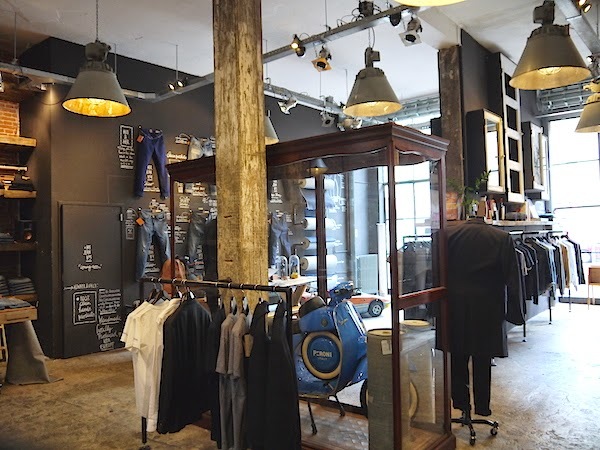 Downtown there will be a range of events in Amsterdam finest Denim stores. For denim professionals there is an invite only trade show at Westergasfabriek, Kingpins on April 15-16 and seminars on April 17. 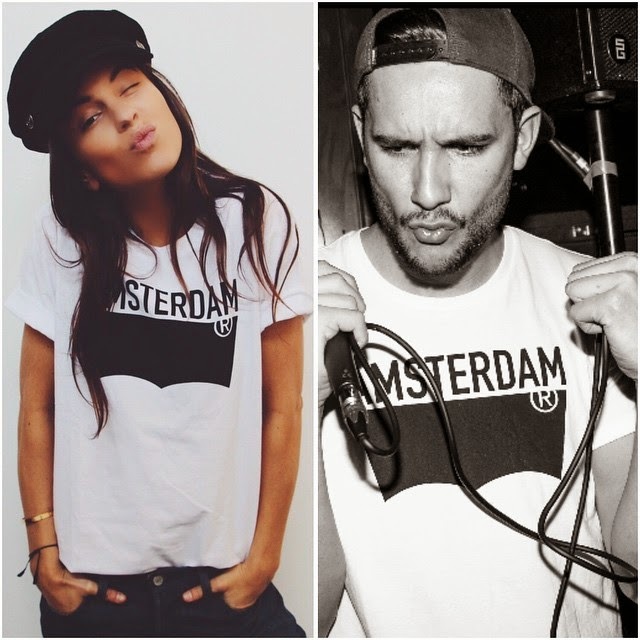 Lets kick off with Amsterdenim and last years video! 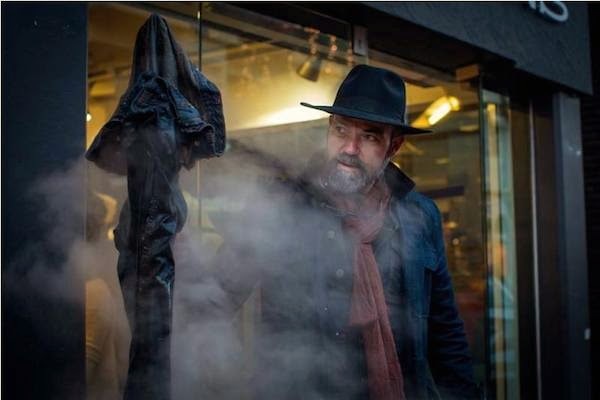 Amster Denim, founded by Ben Fokkema is a denim brand packed with details telling the story of Amsterdam over the last centuries. By showing the history of Amsterdam on the inner pocket and giving them the same colour brown like the sails of the former ships that ones sailed over the Amstel, dark blue yarn in the stitching and Amsterdenim logo. The three crosses of Amsterdam and other details can be found back in the logo, used on the nodes and garments. Born in New York. Designed in Amsterdam. Made in Italy. That is style, quality, tradition and attitude all in one. Good Genes delivers a contemporary casual uniform of jeans with a variety of essential tops, jackets and coats. They have an amazing store downtown at the Pijp area, that is definitely worth visiting. With two stores downtown, the one in Haarlemmerstraat being my favourite, and not only because they pour out some really good wine on weekend afternoons, Tenue de Nîmes is a really accessible store for both the denim lover looking for selected brands including their private label, think Blue Japan, Momotaro, Orslow Jeans, Big John The Real McCoy, Levi's Vintage CLothing including their private label, as well as the tourist looking from all ages looking for something new to wear or buy. Both the store at Haarlemmerstraat 92-94 and Elandsgracht 60 have amazing interiors with a mix of fashion, shoes, books, jewellery and a selection brands for your interior. I am madly in love with their collection of Mad et Len candles & lava rock stones, in black handcrafted metal design. The dark and moody Red Wing Shoes store has an amazing interior that pays tribute to the rich history of the brand. The shoes are displayed on top of steel and antique glass show cases, which are filled with coal. The dark, concrete walls have been decorated with workman''s tools that date back to the days when Red Wing was a fledgling company. One wooden wall, which itself was made from materials from an old Amish water tower, is used to exhibit most of the accessories on offer. Definitely a must see! 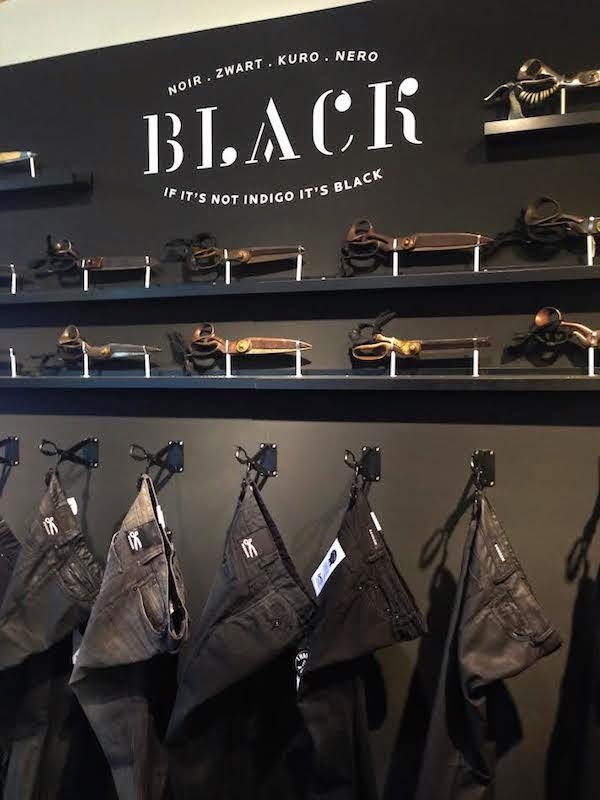 BDD is an Amsterdam based denim brand, founded by Lennaert Nijgh, aka benzak. Out of the passion for jeans and inspired by the unique fading capabilities of denim, bdd was born. Rather than seasonal collections, bdd develops timeless pieces that can go anytime, anywhere. bdd focuses on pure products and functional design. 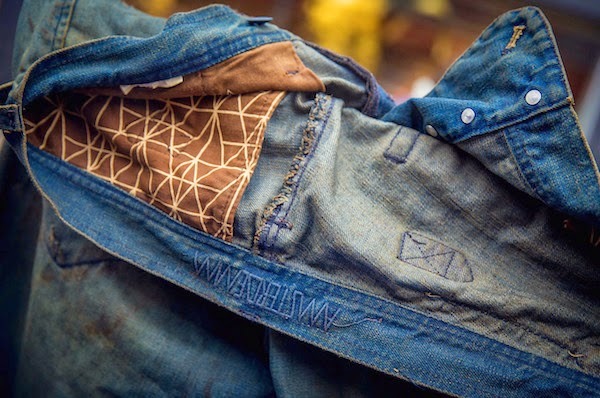 All denim products are the beginning of a journey, which needs to be developed by the wearer. By wear and wash the denim of your pair will develop its personal character. No single pair will be the same. Be the developer of your denim and become part of the world of benzak. Englishman Jason Denham established DENHAM in the city of Amsterdam. Having already established his reputation in the European market as a consummate “jeanmaker” known for mixing denim modernism with workwear tradition, he resolved that the jeans category needed an injection of something fresh, new and undeniably mouth-watering. 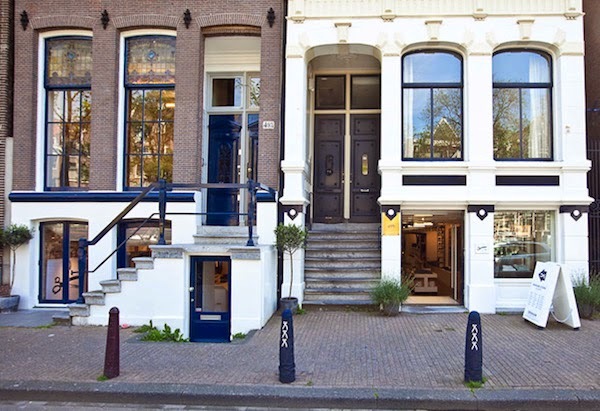 At Denham they are delighted to have secured the iconic corner-shop location at the intersection of the Prinsengracht and the Runstraat. The new location creates a dynamic visual link between Denham’s mens store at Prinsengracht 495 and its womens store at Runstraat 17. The showcase will feature a regular rotation of focused product presentations expressing the most exciting elements of each seasonal collection – from premium concepts in traditional 5-pocket denim and head-to-toe indigo ranges to innovative programs in outerwear - as well as accessory groups and seasonal design collaborations. A small coffee corner is part of the Showcase store. Denim brand born out of the designer's curiosity of exploration and travel. 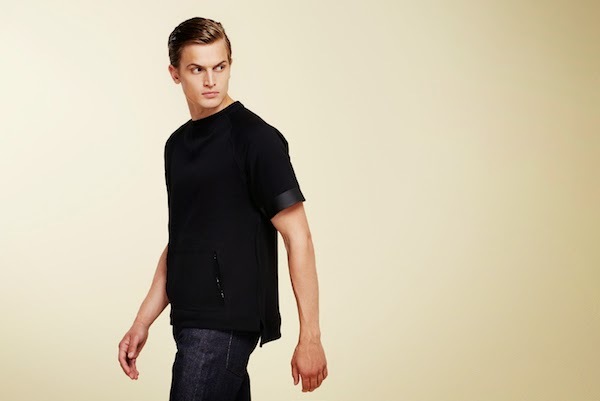 His love for the Evisu denim brand inspired him to get into jeansware and after being spotted by the Tommy Hilfinger team, releasing his own label in 2011. With his latest collection he's putting the mod back in modern, and drawing inspiration from the stylish young men of the late 50's, lifting a classic look to current modern standards. Kings of indigo produces quality denim, tops and accessories inspired by American classics and designed with a Japanese eye for detail. 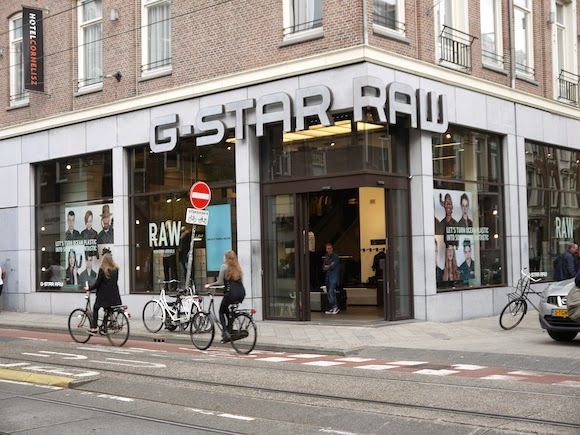 G-Star specializes in making raw denim—an unwashed, untreated denim. G-Star is influenced by military clothing. Inspirations of their designs come from vintage military apparel from around the world. Some examples include special pockets constructions and the use of trims. Though Scotch & Soda has been around since the 80s, the Amsterdam-based fashion brand as we know it today originates in a brave new start in 2001, when three new owners joined their broad experience and shared love for making great garments. 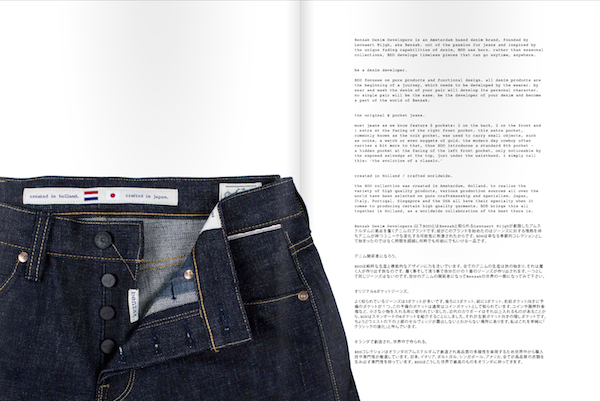 Scotch’s most ambitious project Amsterdams Blauw hit the stores in December 2010; a compact high profile denim collection. The name Amsterdam Blauw (Amsterdam Blue) comes from the color of paint used to Paint Dutch porcelain in the Golden century. Lee was formed in 1889 by Henry David Lee at Salina, Kansas producing dungarees and jackets. The growth of Lee was prompted by the introduction of the Union-All work jumpsuit in 1913 and their first overall in 1920. Later in the 1920s Lee introduced a zipper fly and continued to expand. Around this time, the first children's overall line was sold. During the 1930s and 1940s the company became the leading manufacturer of work clothes in the US. In the 1970s Lee shifted its focus from the workwear business and began catering to fashion cycles. 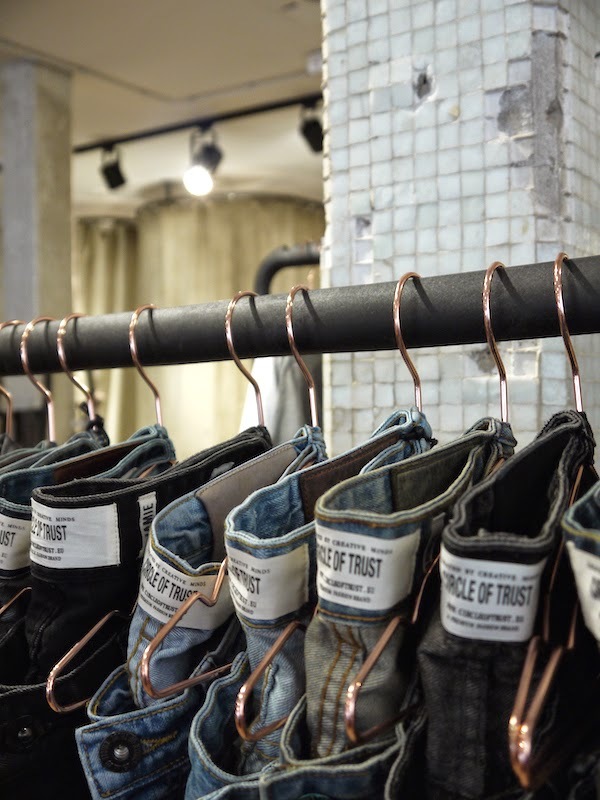 Circle of Trust was founded in 2005 with one main focus: creating unique denim for Men, women and kids, Early 2015 they opened their concept store at the Pijp.